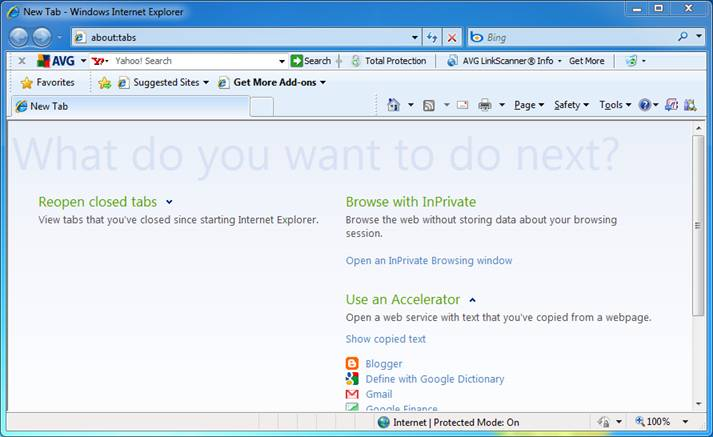 AVG Toolbar & Secure Search: How do I remove it from my browser & PC? Recently, someone wrote in and told us that they had the AVG Toolbar installed on their web browser, don’t know how they got it, and couldn’t remove it. 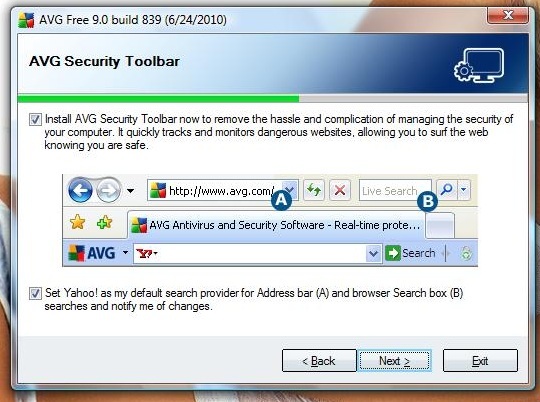 AVG, the company behind the AVG antivirus suite, is also behind this toolbar, which can install itself on your PC during the antivirus installation process. It can also appear as an add-on during the installation of another non-AVG application. Often, we don’t realize that many software companies install additional software this way. You have to pay attention and deselect this additional installation, but most people are inclined to click Next several times instead. It’s easy to miss the AVG Toolbar checkbox when installing the antivirus. Note that AVG claims a benefit from the toolbar, as it scans malicious hyperlinks for problem websites. But most users have security software that already does this. Here’s what the AVG Toolbar looks like at the top of your web browser. Press Start (Windows Key + X in Windows 8). Click Programs and Features (Add or Remove Programs in Windows XP). Open each of your installed browsers back up. Go into your browser settings and reset your search engine and homepage. If you go into Manage Search Engines in the options, you can remove AVG Secure Search from the list completely. Remove any additional AVG plugins and add-ons that are left. The AVG toolbar and all its negative effects should be completely removed from your PC. Good luck!